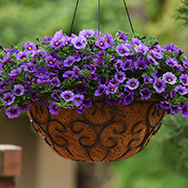 Solanaceae, annual for containers, flower pots, hanging baskets, sale in IV-VI, cultivation same as for Petunia, germination 5-10 days (depend on variety) at 20 - 25 °C, sowing one pellet per cell, do not cover, germinate both in the light also in the dark, growth regulation required – recommended use B-Nine in medium concentrations, seedlings production – flowerpots 10-15 cm. 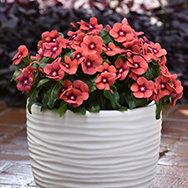 The Kabloom series varieties represent the first seed calibrachoa of this type in worlds assortments. For professional growers offer great alternative how to grow to finish luxuriant, richly blooming and healthy plants in attractive colors. 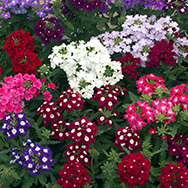 Growing calibrachoa from seed effectively eliminates bringing the pathogens into your growing areas, which are often present on the widely purchased cuttings. 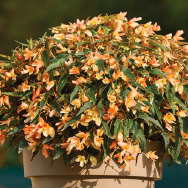 Plants grow to a height of 25-35 cm and creates impressive overhang in length 25-35 cm.